Lynne-Marie graduated from the University of St Andrews with an MA Honours in English Literature and joined the British Airways' Graduate Training Scheme where she worked in Procurement and then Management Development. After that she set up and led her own business in training and development before joining Masterfoods in National Accounts, looking after a number of key confectionery customers. No stranger to Insights, Lynne-Marie had been a customer at BA, in her own business and at Masterfoods. In essence, she liked the company so much that she decided to join it! 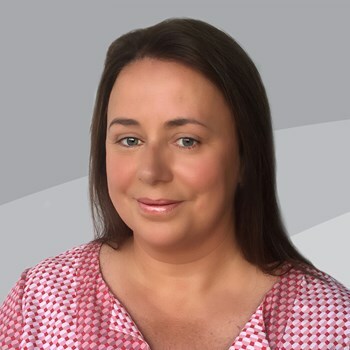 Lynne-Marie has performed many roles at Insights, including Account Manager, UK Sales Manager, EMEA Manager and Head of Global Sales and Marketing. She was appointed as a Director on the Insights Executive Board in 2007. In October 2012, she took on the role of Customer Experience Director. An average day involves leading a diverse team of people and responsibilities including Global Marketing, Creative and Digital Services, Customer and Market Insight, Internal and External Communications, Product Research, Product Design and Product Management. In addition to this are all the Executive responsibilities involved in leading a dynamic, fast growing global business. There is lots of travel involved and a sense of always being on the move. Highlights are leading strategic projects such as creating a new customer proposition as well as paying attention to, and making time for, our incredibly talented and special people. Her goal is to manage both of these really well.